Last month, I had the opportunity to speak at the FLIP x Education conference held annually in Kaohsiung. At the conference, I had the privilege of meeting Mr. Chen [陳光鴻], who is leading the “shifting landscape of math education in Taiwan.” It is so inspiring to listen to him talk about the future of math education, and I have often described him as the Dan Meyer of Taiwan. Early in our conversation, Mr. Chen asked me what I thought PBL stood for, which I answered as most teachers from the United States would: problem-based learning. I first learned about this progressive approach to education when I was enrolled in graduate school and one of my professors lead a memorable seminar on the debate between constructivism (proposed by education philosopher John Dewey and advanced by icons such as Piaget and Montessori), and neo-traditionalism (lead by E.D. Hirsch). Hirsch gew up during the Jim Crow era in the segregated south, where “racism was automatic and rampant.” To help fight the opportunity gap, he advocated for a traditional school model where all students learn the same “core knowledge.” Dewey advocated for a more progressive school model that favored a collaborative approach where students learn dynamically through hands-on projects and from their peers. This bust of John Dewey graciously welcomes all visitors to Columbia University’s Teachers College. Although we had a great debate in my graduate school class, what does the research suggest? The long-suppressed eight-year study famously noted that students “educated in progressive schools show more leadership, think more clearly, take a keener interest in books, music, and arts, and get slighty better grades in college than those of traditional schools.” Dr. Jo Boaler has a plethora of contemporary research that suggests the power of a progressive model of education is truly limitless and could help move our entire nation forward. Back in Kaohsiung, Mr. Chen challenged me, and told me that we do not need problem-based learning; rather, we need Phenomenon Based Learning. At first, I thought this might be a translation error or perhaps a cultural misunderstanding. Mr. Chen told me that we need to strive for phenomenon-based learning, which he defined as a cross-curricular problem-based learning approach that gives students democratic ownership over their learning. He excitingly proclaimed, “there should be no kings or queens teaching a classroom!” He then laid out a vision of what school could be in Taiwan. Almost a hundred of years after John Dewey visited the Republic of China, he would be proud of educators like Mr. Chen that are looking to lead an education revolution. This was taken in the beginning of my second year of teaching. Although the classroom management is pretty tight for a second-year teacher, the entire class is completely dominated by the teacher (me). Sure, we may have sung “Happy Birthday” to build some culture in the beginning, but I completely monopolize the rest of the class. By doing so, I inadvertently rob my students of any opportunity to meaningfully engage with the lesson. This video resembles a glorified version of show-and-tell, where the magic of mathematics has been reduced to forcing students to copy down what I write on the board. Also, consider how I had extremely-low expectations of my students, as I was teaching an elementary math standard in a high school algebra class. Notice who is leading the mathematics during this lesson. In this video, students are doing almost all of the heavy lifting, and my role has been reassigned from a lecturer to a facilitator of knowledge. One can gather the strong sense of community that has been developed, and it is clear that students have taken genuine ownership of their learning. The ideals of restorative practices have replaced a zero-tolerance approach to behavior management. The lesson structure of “I Do, We Do, You Do” has been replaced with “You-Do, Y’all Do, We Do.” Students believe in the core sentiments of academic youth development, and that mistakes are expected, respected, and inspected. While I am proud of the growth that I have made as an educator, I still have a lot to learn; this is one of the main reasons that I am currently in Asia researching education and pedagogy. To be fair, it is not just the curriculum that has changed, but also the entire power structure of the classroom. Some teachers and school leaders wrongly believe that ‘power’ in schools is a fixed commodity. Rather, I vehemently believe now more than ever that empowering students and giving them ownership of their learning and academic trajectories can genuinely transform any classroom in any school throughout our country (a future post will consider specific ideas on how teachers can democratize their classrooms). One of the struggles I have throughout Taiwan (and in the United States, to be honest) is that although some teachers are open to the idea of collaborative learning and PBL, they worry that their students will not do well on end-of-year assessments and college entrance exams. On the contrary, I honestly believe that a progressive style of learning will help achieve both ends. The proof is in the pudding: On the 2016 PARCC administration, I was so proud of my students for attaining the highest high school passing rate in the entire Newark Public Schools. 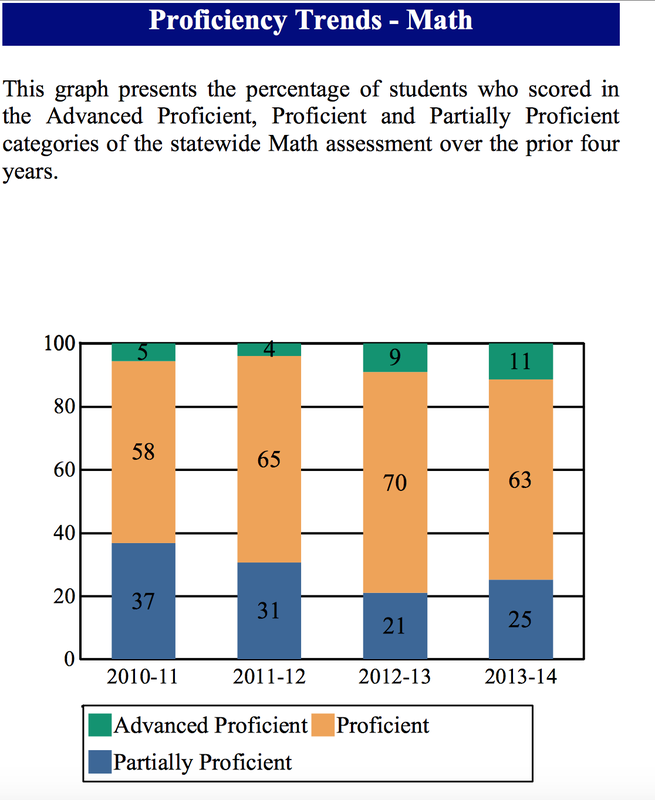 In 2017, my students had a higher passing rate on the rigorous Algebra II PARCC test than the New Jersey state average. Although the 2018 results are not in yet, I am confident that my students will do equally well this year. To me, it is evidence to suggest that true phenomenon-based learning is essential if we are serious about helping students develop the intellect, character, and skills needed to solve the adaptive challenges of the 21st century. I was also fortunate to see Mr. Chen lead a professional development session in Taichung, where he is slowly equipping an army of teachers with the mindset, skills, and rigor needed to go out and set the world on fire. Thank you, Mr. Chen, (謝謝,陳光鴻!) for your leadership, your dedication, and your awe-inspiring vision. To me, it is incredible that halfway around the world, we are working towards the same goal of transforming our schools. As I tell my fellow teachers often, keep fighting the good fight! And thank you to all those back home in the states that have pushed me to become a better educator, including all of my incredible students over the years, Nick Romagnolo, Michael De Antonio, Jr., Honoré Hodgson, Abby Neumeyer, Michelle Lin, and Leeann Kerst. Let us continue to fail forward and resolve to work relentlessly until every child has the opportunity to attain a truly excellent education. Note: This article was submitted to the Fulbright Taiwan Annual Research Journal. “The first examinations were attributed to the Sui emperors (589-618 A.D.) in China. With its flexible writing system and extensive body of recorded knowledge, China was in a position much earlier than the West to develop written examinations. The examinations were built around candidates’ ability to memorize, comprehend, and interpret classical texts. Aspirants prepared for the examinations on their own in private schools run by scholars or through private tutorials. Some took examinations as early as age 15, while others continued their studies into their thirties. After passing a regional examination, successful applicants traveled to the capital city to take a 3-day examination, with answers evaluated by a special examining board appointed by the Emperor. Each time the examination was offered, a fixed number of aspirants were accepted into the imperial bureaucracy” (U.S. Congress, 1992). This imperial system of examination (known in Mandarin as 科舉or kējǔ) was originally considered to be an equitable way for all students to have an opportunity to rise beyond their current caste. Kējǔ also helped those in power identify and recruit into government service individuals who were capable and virtuous rather than to fall back on members of the hereditary noble class (Zhao, 2014). Seen by many to be fair, objective, and open, kējǔ eventually gave birth to the idea of meritocracy, a core value in many eastern countries (Zhao, 2014). Centuries later, Sun Yat-sen, the founding father of the Republic of China, continued to praise kējǔ as the bedrock of the world’s best education system. Dr. Young Zhao reminds us of an oft-told tale of Sun’s about the drawbacks of a society without standardized tests. Sun related the story of an election in the west between a doctor and a truck driver. Although the doctor had received more formal education than the driver, he lost the popular vote. This outcome, Sun would insist, was the consequence of popular election without examination (Zhao, 2014). After overthrowing the Qing dynasty, China’s last imperial dynasty, Sun Yat-sen set up a new government in Beijing known as the Republic of China. The founding document of the R.O.C. included an entire branch of government focused on examination; this five-power constitution continues in modern day Taiwan. While standardized testing is deeply engrained in Taiwanese culture, the country’s education system is unique for a multitude of other reasons. First of all, Taiwanese teachers are classified as white-collar professionals; they value the quality of their work and take pride in what they do (Huang, 2003). The reputation of teachers is second to none; teaching jobs are held in high esteem and the pride of place given to education in traditional Chinese culture enhances the social status of teachers (Hsieh et. al., 2009; Fenton, 2016). Second, most Taiwanese educators believe in the concept of a growth mindset. Simply put: if a teacher believes that their students can do better, they will; if a teacher gives up on their students easily, then their students will give up, too. Third, Taiwanese pre-service teachers are exceptionally well-qualified academically; most have excelled in school. Consequently, university education departments are quite selective, and only the best available candidates are accepted. This situation stands in marked contrast to that of the United States, where the lure of Wall Street and Silicon Valley often attracts the best and brightest (Kristof, 2011; Zakaria, 2012). In fact, the results of a 2010 study suggest that the majority of U.S. education majors come from the bottom third of their graduating class (Kihn, P., Miller, A., & Auguste, B., 2010). After a number of school observations throughout Taiwan, it has also been noted that, though the typical teacher in that country is present at school for more than 10 hours each day, he or she rarely instructs for more than three to four hours. Data from the Taiwanese Ministry of Education (2017) confirms that the average teacher leads instruction for 560-720 hours per year. In contrast, the majority of high school teachers in the United States spend almost double that amount of time leading instruction over the course of a school year (Ministry of Education, 2017). Consequently, Taiwanese teachers have significantly more time available each week to prepare lessons, mark classwork, and reflect on how best to improve children’s learning (Gove, 2012).They are also able to meet with colleagues in professional learning communities to plan classes and grade their students’ work collaboratively. Most importantly, they have an opportunity to reflect upon their pedagogy. This extensive reflection time enables teachers to act as action researchers, develop and evaluate new teaching methods, and keep tabs on one another’s performance (Gove, 2012; Liu, 2013). Note, too, that the Taiwanese educational system includes more than government-run schools; it also encompasses a gigantic range of cram schools. However, it is virtually impossible to find stories in the mainstream media about east Asian education today that boldly confronts the existence of this parallel educational system (Turton, 2012). These cram schools (known in Mandarin as 補習班 or bǔxíbān) are akin to large tutoring centers that lecture students about mathematics, Chinese, and English. The practice of late-night tutoring is particularly controversial in this part of the world. Although many schools in Taiwan are remarkably equitable, these night classes are one way in which parents with means use their resources to give an unfair advantage to their children, but often at an extraordinary financial and emotional cost (Williams, 2017). These bǔxíbāns are so pervasive in east Asia that neighboring South Korea passed a law in 2011 that enacted a strict 10:00 PM curfew to lessen the stress load on students (Seoul, 2011). Today, considerable controversy exists with regards to education reform throughout the world. In Taiwan, the fundamental purpose of public education has long been debated. This ongoing debate has led to a learning system that “over-emphasizes academic performance and neglects other dimensions of learning. But recently, the Taiwanese government adopted the use of a constructivist approach to teaching mathematics. This new approach to teaching and learning focuseson the whole child” (Eisenhart, 2011). Contemporary educational reform in Taiwan commenced during the late 1980s when a team led by Dr. Fou-Lai Lin decided to investigate the teaching of mathematics; they reviewed the literature and relied on research methodology rather than solely their own experience. As a result, mathematics teacher education entered a new phase, one that combined practical experience with empirical research (Hsieh et. al., 2009). In 1996, mathematics teachers throughout the country began to focus on the way in which students thought, thus shifting away from a teacher-centered approach and towards a student-oriented method of learning (Hsieh et. al., 2009). The following year, the Ministry of Education implemented a new national curriculum for junior high school students. Many of the changes involved in this initiative centered on students and the cultivation of their creativity, thinking, and reasoning abilities, as well as the links that existed between mathematics and life. The message was clear: an attitude toward active learning and the appreciation of mathematics was being put into place (Hsieh, 1997). These reforms shifted the emphasis in mathematics education away from simply memorizing and plugging into formulas and towards developing problem-solving skills and process-monitoring. Problem solving, through which one learns methods for acquiring knowledge, had historically been largely neglected in Taiwan. Now, however, it is gaining attention alongside an emphasis on mathematics education for lifelong learning (Hoyles, Morgan, & Woodhouse, 1999). The Taiwanese Ministry of Education is currently piloting a new high school math curriculum which will be rolled out nationwide during the 2019-2020 school year. One of the Ministry’s noted goals is the progressive implementation of a12-Year Basic Education program, incorporating the development of adaptive learning along with a completely non-exam-based secondary school admission process (Ministry of Education, 2017). Policy makers plan to adapt the Taiwanese curricula so as to encourage problem solving that is creative. (Hoyles, Morgan, & Woodhouse, 1999). The Ministry has also made it clear that teachers must pay closer attention to the process of learning as well as to the way in which children conceptualize content and ideas rather than simply focusing on arriving at the correct answer (Eisenhart, 2011). These proposed education reforms seek to address the pitfalls found in current educational practice and to foster collaboration among students through project-based learning and standard-based grading. One teacher noted that these reforms will set future generations of Taiwanese students in a positive new direction and prepare them to face the adaptive challenges found in our increasingly globalized world. As the guiding vision of Taiwan’s new 12-year basic education program is further developed, the principles of “spontaneity, interaction, [and] the common good” that it promotes will be integrated increasingly with the educational ideas of John Dewey’s (1938), postmodernism, and complex thought (Morin, 1999; 1993). These structural shifts will encourage Taiwanese teachers to let students drive their own learning and to take ownership of their thinking with an aim to inspire rather than to control (Fan, 2016). After all, “if we continue to ignore the power of students’ own ideas and conceptions, we will only perpetuate the notion that mathematics and science (among other subjects in our school curricula) are irrelevant, uninteresting, and difficult to learn” (Sahlberg, 2018). These progressive innovations are not unique to Taiwanese education. China, the United States’ leading economic competitor, is in the process of decentralizing its curriculum, diversifying its methods of assessment, and encouraging local autonomy and innovation. Singapore is also promoting a student-centered learning environment characterized by the principle of ‘Teach Less, Learn More’ (Sahlberg, 2015). “One striking example was the way teachers structured their lessons. American teachers rarely talked about lesson structure – the way class proceeds from a beginning to a middle to an end – and yet, watching each individual teacher at work, Stigler felt as though they’d all read the same recipe. ‘A cultural script,’ he called it… Some American teachers called their pattern ‘I, We, You.’ The Japanese teachers, meanwhile, turned ‘I, We, You’ inside out. You might call their version ‘You, Y’all, We.’ They began not with an introduction, but a single problem that students spent ten or twenty minutes working through. Next, the teacher brought them back to the whole group, asking students to present their different ideas for how to solve the problem on the chalkboard. Give the answer and the reason for the answer.Finally, a teacher led a discussion, guiding students to a shared conclusion – What did you learn from today’s problem, or what new questions do you have, if any?” (Green, 2015). To capitalize more fully on the ideas and conceptual understanding of all students, many schools in Taiwan (and indeed throughout the world) are recognizing the importance of teaching students how to work collaboratively, to create viable arguments, and to critique the reasoning of others. In a number of Taiwanese math classes, students are encouraged to share their personal strategy on how to solve a complex problem. This is markedly different than some schools in the U.S, where students are often drilled in a few dozen scaffolded problems over the course of a lesson. In most Taiwanese high schools, students during a single math class might complete a few rigorous problems during each period, allowing students to be able to spend more time thinking deeply about a few hard problems and to reflect critically on their solution strategy. “In comparisons of mathematics teaching in the United States and in high-achieving countries, U.S. mathematics instructions has been characterized as rarely asking students to think and reason with or about mathematical ideas. [American] teachers sometimes perceive student frustration of lack of immediate success as indicators that they have somehow failed their students. As a result, [American math teachers] jump in to ‘rescue’ students by breaking down the task and guiding students step by step through the difficulties. Although well intentioned, such ‘rescuing’ undermines the efforts of students, lowers the cognitive demand of the task, and deprives students of opportunities to engage fully in making sense of mathematics” (NCTM, 2014). In contrast, some Taiwanese teachers are moving away from rigid algorithms toward more flexible and divergent thinking. Because Taiwanese students are encouraged to think divergently about algebra instead of rigidly following an algorithm, they were able to regroup certain terms and make the complex expression simpler. In many classroom observations, students were solving algebra problems using a multitude of different strategies, allowing them to think more concretely about algebra, thus increasing both their accuracy and efficiency in solving complex problems. Another striking aspect of Taiwanese math pedagogy is the ability of teachers to include multiple modalities in their instruction. The National Council of Teachers of Mathematics has insisted that “effective mathematics teaching includes a strong focus on using varied mathematical representations” (NCTM, 2014). The results of multiple studies have demonstrated that students display greater mathematical understanding and enhanced problem-solving ability when they learn to represent, discuss, and make connections among mathematical ideas in multiple forms. (Fuson, Kalchman, and Bransford, 2005). Taiwanese teachers, in particular, focus their attention on providing different visual representations of abstract mathematical concepts thus helping students to advance their understanding of them. (Arcavi, 2003). With high school students after a focus group in Taichung. This article describes but a few of the pedagogies used by Taiwanese math teachers as they practice their craft. We still have a long distance to go as a global math community until we reach the point where math teachers everywhere have implemented research-informed best practices that can drastically improve their students’ ability to learn. Perhaps the NCTM summarized best the shift taking place in the global landscape: “Students must rethink what it means to be a successful learner of mathematics, and teachers must rethink what it means to be an effective teacher of mathematics” (2014). Learning about the culture of education as well as math instruction in Taiwan has been a transformative learning experience of a lifetime. While some of the culture that surrounds Taiwanese education is deeply ingrained within the history of this incredible country, there are many elements found in the pedagogy of Taiwanese math teachers that can be effectively incorporated into public schools throughout the United States. Now, it is up to all of us to implement these best practices and transform our education system once and for all. After all, our students are counting on us. Let us rise to the challenge. Dewey, J. (1938). Experience and Education.NY, New York: Kappa Delta Pi. Fuson, K., Kalchman, M., and Bransford, J. (2005). “Mathematical Understanding: an Introduction” in How Students Learn History, Mathematics and Science in the Classroom., edited by Donovan, S., & Bransford, J. Washington, D.C.: National Academies Press. Green, E. (2015). Building a Better Teacher: How Teaching Works (and how to teach it to everyone).New York ; London: Norton et Company. Hsieh, F.-J. (1997). 國中數學新課程精神與特色. [The essence and features of new mathematics curriculum in junior high school]. Science Education Monthly, 197, 45-55. Huang, Y.-J. (2003). 臺灣地區新職業聲望與社經地位量表」之建構與評估:社會科學與教育社會學研究本土化. [The construction and assessment of the “new occupational prestige and social for Taiwan”: The indigenization of the social science and sociology of education research], Bulletin of Educational Research Vol.49(4). 1-31. Ministry of Education (2017). Ministry of Education Objectives for 2018 (January-December) released 7/19/2017. Taipei, Taiwan: Ministry of Education. NCTM (2014). Principles to Actions: Ensuring Mathematical Success For All. Reston, VA: NCTM, National Council of Teachers of Mathematics. Sahlberg, P. (2015). Finnish Lessons 2.0: What Can the World Learn from Educational Change in Finland? New York: Teachers College, Columbia University. Sahlberg, P. (2018). FinnishED Leadership: Four big, inexpensive ideas to transform education. Thousand Oaks, CA: Corwin. Wagner, T., & Dintersmith, T. (2016). Most Likely to Succeed: Preparing Our Kids for the Innovation Era. New York, NY: Scribner. Zhao, Y. (2014). Who’s Afraid of the Big Bad Dragon? : Why China has the Best (and Worst) Education System in the World. San Francisco, CA: Jossey-Bass. It has been a few years since I had the opportunity to write a year in review. Between graduate school, teaching, and trying to maintain some semblance of a personal life, the last few years have been busier than I would care to admit. As usual, this year has been filled with ups and downs, and a plethora of memories that I will cherish for some time to come. During the 2016-2017 school year, I taught two sections of Geometry and one section of Algebra II. Although I had taught Geometry dozens of times in the past, I never taught Algebra II for an entire year. Further complicating matters was the fact that there were 35 students enrolled in my Algebra II class! 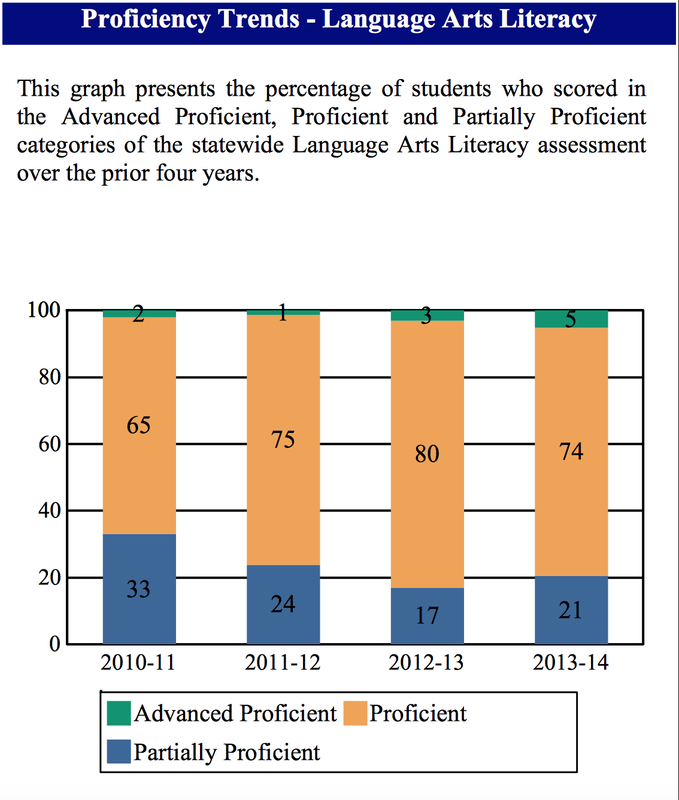 My students, many of whom I taught previously, worked relentlessly the entire year, and I was so proud of them when we found out that more students in that class passed the rigorous PARCC exam than the New Jersey state average! One of the personal reflections that I made on “Wednesday Morning” after the 2016 presidential election was that I needed to make community service a larger priority in my life. As such, I resolved to start teaching at a local prison after school on Thursdays and volunteer my time as the Academic Coordinator for Hockey in New Jersey. Hockey in New Jersey is a local non-profit that inspires low-income youth to develop life skills, succeed academically, and create positive relationships through the sport of hockey. After months of planning, we launched our Brick City Scholars Academy in February at the Prudential Center. In addition to pairing students with mentors and providing college visit trips, our academic initiative focuses on college preparedness, character development, and standardized test preparation. It was definitely a lot of work, but it was time well spent. In March, I had the pleasure of attending the Agile Mind Professional Services Advisor Academy, which was one of the best professional development experiences I have ever attended. In addition to being surrounded by some of the most innovative math educators our country has to offer, we were also presented with the latest research from the world-renown Charles A. Dana Center. After leaving the University of Texas at Austin, I flew directly to Philadelphia, where I was a chaperone at the Willie O’Ree Skills Weekend. Willie O’Ree, who was the first black player in the National Hockey League, holds a skills weekend for student-athletes throughout the country participating in the NHL’s “Hockey is for Everyone” initiative. Hosted by the Snyder Hockey Foundation, the weekend-long event helps student-athletes with tremendous potential develop critical leadership skills. As Matthew Atehortua pointed out to the NHL, “it was just a surreal experience how someone who was the first [black] hockey player is still around and can share his experience with the youths and the aspiring African-American athletes.” It really was a special weekend for all! After returning home from Philadelphia, I was back off to Texas (this time in San Antonio) for the 2017 NCTM Annual Conference & Exposition. I really have come to love these conferences, as attendees learn about new pedagogical approaches and have time to reflect about their teaching practice. I then flew straight from Texas to Mexico for Spring Break, where I explored several Mayan ruins (including the famed Chichén Itzá), scuba-dove in an underground cenote, and even took a Mexican cooking class. April was one of the busiest months of the school year for sure, but what really made the month so special was when I found out that I had officially been awarded a Fulbright grant to study education in Taiwan! Later on during the Spring, I officially graduated from Columbia, which ended up becoming one of the most memorable days of my life. I was finally able to see Hamilton, too, which somehow exceeded my crazy-high expectations and is the best Broadway play that I have ever seen. As May turned into June, I knew that the time with my beloved seniors at East Side was slowly coming to a close. I was particularly close with this group of seniors, including four specific students that I have been privileged to share so many great memories with. Graduation was a day filled with mixed emotions, as we officially bid farewell to the Class of 2016. During the summer, I started consulting as an Advisor through Agile Mind. Through this opportunity, I had the responsibility of leading professional development sessions and coaching teachers at dozens of schools throughout Philadelphia and New York City. Having the opportunity to work with teachers at so many different schools further pushed my thinking in ways previously thought unimaginable, and gave me great experience for my new role as an instructional coach at East Side in the fall. I also attended two incredible weddings this summer: It was surreal watching Eric Vander Voort, one of my best friends in the world, get married, and I also had a blast hanging with my #TCSPA friends at Kristen’s wedding, too. The summer ended with traveling to D.C. for my Fulbright Orientation run by the State Department, which you can read more about here. As the new school year started in September, I was excited to commence my new role as an instruction coach for the math department. In addition to coaching teachers, I also taught one Algebra I class, which I have grown very close with over the course of the last four months. In the fall, I chaperoned my last two college visit trips with the East Side High School Student Council, where we visited Diana, Jeury, and Wilian at TCNJ and Vitor at Swarthmore College, and visited Columbia with our Brick City Scholars. As I alluded to in a previous post, it really is special having the honor of being shown around college campuses by former students. By the time November came around, the first marking period was already over. During the so-called “no-school November” week, a bunch of my co-workers and I had the opportunity to visit Cuba, a country that has always been high on my bucket list. Cuba was, without question, the most interesting place that I have ever visited. Contrary to popular belief, I have never felt so safe and so welcomed in a foreign country, and could not believe how many Cubans came up to us on the street and just wanted to talk with Americans. Several people offered us friendly recommendations, and the entire country could not have been more welcoming. After watching literally every documentary about Cuba on Netflix, it was also surreal being able to explore paces like the Hotel Nacional (where infamous gangsters Lucky Luciano and Meyer Lansky set up the famous meeting to discuss business plans and policies with crime families across the United States) and the Plaza de la Revolución (where Fidel Castro gave many of his speeches and Pope Francis held his mass in Havana last year). Perhaps most interesting was the Museo de la Revolución, the former Presidential Palace, where Castro’s cabinet worked and where the government has remnants of American planes on display like trophies. Oh, and did I mention that we got to see the granma, too? What an incredible trip! Toward the end of the month, I had the chance to attend the NCTM INNOV8 Conference in Las Vegas. In additional to an informational conference that pushed my thinking about increasing access and equity for all students, we also watched two incredible magic shows (Chris Angel and David Copperfield) and ate dinner in the dark (which one of the most unique dinners I have ever had in my life). We also paused and reflected about the terrible tragedy that happened in Vegas only a few weeks earlier. Before I knew it, we were in December. Our Brick City Scholars were able to squeeze in one more college visit trip to Princeton, and we were able to attend the Harvard/Princeton hockey game, too, which was a lot of fun. I was able to get my mentor Seán Sammon to come down to East Side to visit and talk to our new future medical leaders club. I also went to a bunch of hockey games before shipping off to Asia, and I was happy that I was able to watch my mentee score his first high school goal on both J.V. and Varsity after transitioning from goalie. Towards the end of the month, I started to get a little anxious about the unknowns of the next couple of months. As of this writing, my plane ticket has still not been booked, but I am looking to leave early next week and return home in early August. Whereas I know that this Fulbright experience will be a transformational opportunity for me, I will surely miss the incredible students at East Side High School that I have come to love over the course of the past six years. It is hard to believe how much things have changed this year, but I can only imagine what 2018 has in store for me. I have read over and over and been told by dozens of people how transformative a Fulbright can be, but rarely is that personal growth sensed on a daily basis. Perhaps Bill Watterson said it best: “You know what’s weird? Day by day, nothing seems to change. But pretty soon, everything is different.” Here’s to a life-changing 2018! Can We At Least Get The Transportation Right? The landmark court case of the 20th century, Brown v. Board of Education of Topeka [347 U.S. 483 (1954)], famously ruled that the “separate but equal” clause (originally established in Plessy v. Ferguson [163 US 537 (1896)]) was void. In the unanimous 9-0 decision, Chief Justice Earl Warren authored the opinion of the court, including the notable phrase, “separate educational facilities are inherently unequal,” making school segregation unconstitutional under the 14th amendment of the United States Constitution. Whereas most are aware that the Supreme Court took the case on appeal from the United States District Court for the State of Kansas, some are surprised to hear that the Brown case was actually a compilation of segregation cases throughout the south, including Briggs v. Elliott (filed in South Carolina), Davis v. County School Board of Prince Edward County (filed in Virginia), Gebhart v. Belton (filed in Delaware), and Bolling v. Sharpe (filed in Washington D.C.). One case in particular, Davis v. County School Board of Prince Edward County [103 F. Supp. 337 (1952)], was unique in that it was the only case born through grassroot student activism. This case was also of particular note, as it dealt with the issue of school facilities, curriculum, and busing, and argued that students from a segregated black school were not getting the same opportunities as those from the white school in the neighborhood. Today, I feel keenly aware of these specific words in Warren’s opinion of the court: “substantially equal transportation.” More than 60 years after the Brown decision, I ask: what constitutes “substantially equal transportation” in 2017? While our schools today may not be legally segregated (although modern scholars and trends may disagree), our schools are undoubtedly segregated by socio-economic status. 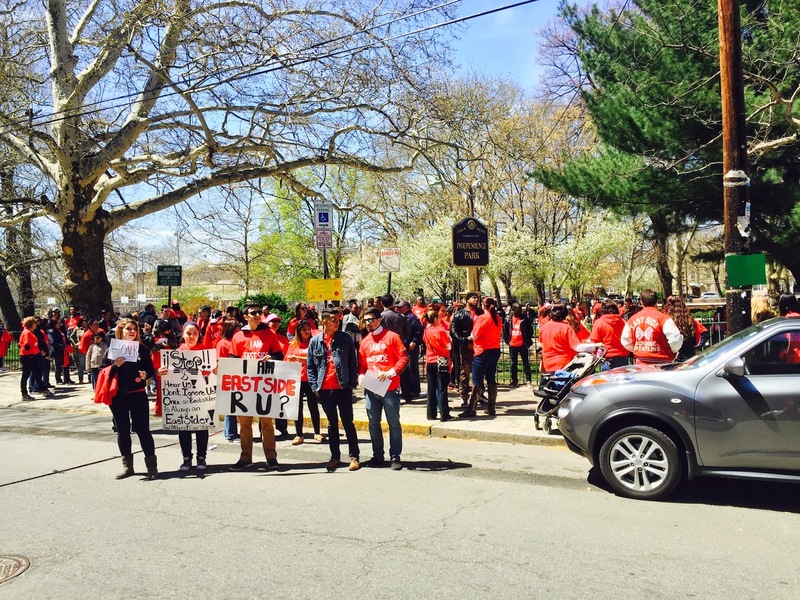 In the spirit of Warren’s opinion, I argue that many of the amazing students that attend the Title I school that I teach at in Newark, objectively receive transportation that is substantially unequal to that of their peers in Millburn or Livingston. As a chaperone on Student Council trips, I have been afforded the incredible opportunity to attend many college visits over the years. Of the dozens of field trips that I have helped lead, I can count on one hand how often our bus has been punctual. Time after time after time, I find myself calling a random bus company, asking why our bus is late, and what time the bus will arrive at our school. After getting on the bus (often hours after the scheduled pick-up time), I then have to call the college we are scheduled to visit, and apologize profusely that our group is going to be two or three hours late for our appointment, which typically means less time on campus for our students (many of whom are aspiring first-generation college graduates). Even once the buses do arrive, they are often outdated, not clean, and smaller than modern buses, with unknown safety records. On one trip in 2013, the bus company “mistakenly” sent only two of the three buses back to the Museum of Natural History in New York City, forcing a group of teachers to take the subway back to Newark in order to make it possible for all our students to cram onto the other two buses. Our Robotics Students have also had their fair share of issues with transportation problems. One of the more infamous stories include an overnight robotics trip in 2015. During the second day of the field trip, the team was waiting for the bus at the hotel, when they found out that the engine could not start. Since the competition had strict rules and regulations, the teachers on the trip had to pay for an “Uber” out of pocket for some of the members, while the rest of the team had to wait for an airport van to cram 8 people in it. After getting the bus working again, the driver claimed he was not aware that the trip was a multi-day event, and returned to Newark during the competition without notifying any of the teachers. This meant that our entire robotics team was stranded in another city hours away from Newark with no viable transportation options. After several demanding phone calls and hours after all of the other teams went home, another bus finally showed up. The next day, on the way back to Newark, the bus could not go faster than 15 miles per hour, and ended up breaking down in the middle of the highway. The bus started smoking, and students were forced to evacuate and stand on the shoulder of a busy highway; the chaperones on the trip immediately called the police and filed a report. A few hours later, a “rescue” bus showed up, and got the students home hours after their scheduled arrival. Our Student Council, led by Ms. Naparano and Mrs. Wiseman, visiting TCNJ this past Monday. As it has been said, those who do not learn from history are doomed to repeat it. This story played out yet again on our college visit to TCNJ two days ago. Our contract (see below) was approved for the bus to pick us up at 7:45am, but after twenty-three (23!!) phone calls and being disrespected and lied to over and over again, the bus finally showed up in front of our high school at 9:13am. On top of everything else, the driver had no directions to our destination. What was at one point a simple mistake that was disconcerting and frustrating, became yet another example of the perpetuation of inequality facing our most vulnerable students. These are just three stories regarding busing issues of literally hundreds that I could have shared that directly impact the students of the Newark Public Schools every single week. As someone who personally rode the bus to middle school daily, I can only remember one ‘freak incident’ that we had. For three full years, I took the public-school bus back and forth from school, almost always without a hitch. Truth be told, it would be forgivable if a school vehicle occasionally got a flat tire or caught in traffic. What my students contend with is not a couple of ‘freak incidents,’ but rather a broken system that clearly does not value the students of the Newark Public Schools and does not allow them access to the quality of transportation that students in more affluent areas take for granted. From my figurative seat on the bus, I am made acutely aware of the inferiority in transportation every time we have a field trip. I have tried everything at my disposal, including calling bus companies, sending e-mails, filing grievances, and even attending school board meetings; nothing seems to ever change. Perhaps it is time we finally “proceed with all reasonable diligence and dispatch to remove all inequality in transportation,” as Earl Warren put forward more than sixty years ago. In 2017, there remains a plethora of adaptive challenges and deep-seated systemic racism and inequalities that persist in our public-school system that are going to require significant resources and innovative leadership to overcome. But seriously, can we at least get the transportation right? Author Andrew PaulsenPosted on October 25, 2017 December 25, 2017 Categories East Side High School, UncategorizedTags Brown v. Board of Ed, East Side High School, Education, Inequality, Transportation1 Comment on Can We At Least Get The Transportation Right? As all of my friends and co-workers would attest, I am extremely passionate about the field of education. I fundamentally believe that our students and thus our schools are essential to the future of our great nation. I also believe that every student can be pushed onto a track towards future success; Stanford Professor Dr. Jo Boaler pointed out during a recent conference in Boston that 95% of our current students have the mental and physical capacity to attend a post-secondary institution if they are taught in the right way. It promptly follows that we must make our schools better if we are serious about the lofty goal of putting every student on the road to college and career readiness. Over the course of the last five years, I have read almost every book I could get my hands on that examines various theories about so-called education reform. I have considered a wide range of diverse opinions, ranging from Diane Ravitch to Michelle Rhee to Joel Klein. More recently, I have become immersed in the work of Elizabeth Green and more specifically the notion that we need to move away from the vicious ‘accountability vs. autonomy’ arguments that permeate the discussions surrounding education reform today. One may be wondering where all of this incredible passion comes from. Over three years ago, I was given the opportunity of a lifetime as one of the 17% of applicants accepted into Teach For America’s 2012 corps, and was subsequently placed at East Side High School in Newark, New Jersey. Although there have been many emotionally draining and stressful occurrences over the course of the past three years, my experience working in Newark has shown me the potential our astonishing students really have. I think of my many students who are first generation immigrants, excelling at school while struggling to learn a language and grow accustomed to a new culture that is so very different from the one in which they have grown up. I think of students like Melissa, a junior who is poised to become the first person in her family to attend college, and has led the Robotics team to the first ever district finals. And then I think of students like Austin, a senior that has become like a little brother to me, who, through unimaginable stress and tremendous adversity, has persevered and risen to the top of his class, being named Salutatorian while being elected President of the Student Council and serving as captain of the varsity soccer team. Austin has also won some of the most competitive scholarships (including the prestigious Coca-Cola Scholarship and the NHL’s Thurgood Marshall Scholarship) while being offered admittance into some of the most elite universities our country has to offer (including Duke, the University of Pennsylvania, and Cornell). And they have all done well in part because of the opportunities they have had while attending East Side High School. It sure seems as though there are many great things going on at East Side High School. I am not sure anyone would consider East Side a great school – yet – but we are definitely in the process of becoming one. Any reasonably coherent person would see the overwhelming positive trajectory that East Side High School is on. Which is exactly why our entire building – teachers, administrators, and students alike – were shocked to discover that the Newark Public Schools has designated East Side High School as a turnaround school for the 2015-2016 school year. When pressed with any possible rationale as to why a state-appointed administration would aim to turnaround one of the brightest beacons of hope in the Newark Public Schools, they responded with saying that the incoming 8th graders are achieving at a significantly lower rate than last year’s cohort, and it is those students that truly need to be “turned around.” I am not sure I follow this argument; if this is true, why not turn around the K-8 schools first? For me personally, I already get to school by 7:00 am and leave at around 5:00 pm everyday. If these reforms are to go through, I would lose about 90 minutes of daily lesson prep time (40 minutes from a shortened prep and 50 minutes from the extended school day) in addition to gaining a 6th class. Until what time does the Newark Public Schools want me to work? Do they want me to put in 12-hour days on a consistent basis? I need at least two hours to plan a highly effective lesson that is culturally relevant and engaging for our students. This is in addition to all of the extremely important extracurricular activities, extra help, and empowering conversations that I have with students on a daily basis. I am worried that I will burn out even earlier next year, and that I will not be as mentally ready to give it my all during class day-in and day-out. To my peers and fellow educators: let us keep showing the world what Newark and East Side High School is capable of doing. Let us keep pushing ourselves to improve our craft and become the very best teachers that we can be. And let us keep up with the biggest responsibility we have – to pass down knowledge onto the next generation of leaders while preparing them for the dynamic and globally connected world that is the 21st century. And to the Newark Public Schools: as a Teach For America alum, I want to be on your team. I want to believe in what you stand for, but it has become increasingly difficult to support a vision that completely decimates our public schools. I share in your resolve to make the Newark Public Schools a great school district, but I promise you that “turning around” East Side High School would do nothing more than de-stabilize the most stable comprehensive public high school that Newark has to offer. If the turnaround designation stays, many of our best teachers will choose to leave the district in large droves. 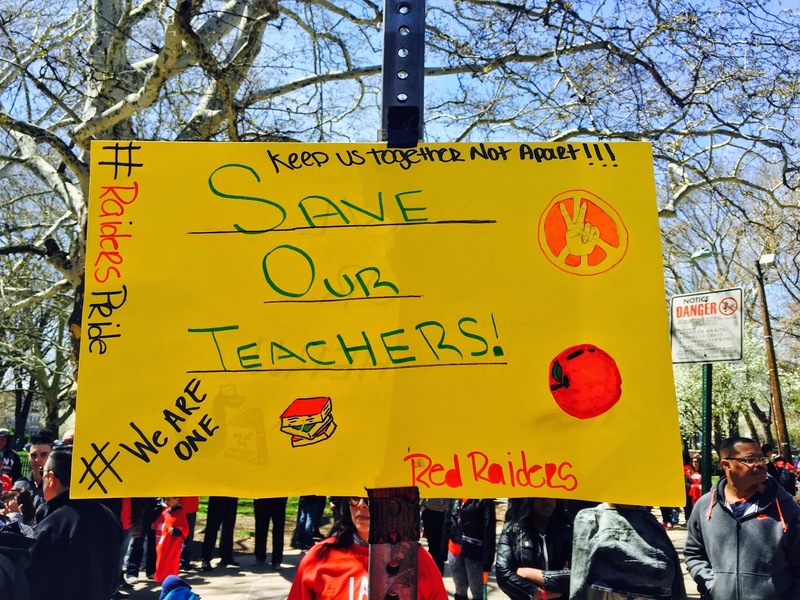 The fallacy with many of these reforms is that the best teachers – “The Irreplaceables,” as they are often called – will have opportunities in other districts, and that only the worst teachers will be stuck in the Newark Public Schools. At the Partner’s for Excellence reception the district held earlier in the year, district leaders declared how we as a district must do everything we possibly can to retain our highly effective teachers, yet the actions of the district seemingly advocate for the exact opposite. I worry that if these reforms go through and there is a mass teacher exodus as expected, it will take at least a decade to restore the school to anything faintly resembling East Side as we know it today. I urge the district to reconsider this turnaround designation, and instead give our instructional leaders worthwhile professional development that will truly improve our pedagogy. I lobby for new teacher coaches so that my colleagues and I can continue to grow as educators, which will help our students far more than simply extending the school day by an hour. And please allow for an open and honest dialogue with the people that have the biggest impact on student achievement and the ones who are fighting on the front lines every single day – your teachers. To close, I must ask: Are we creating conditions in our urban schools such that our best teachers leave and our worst teachers stay? Does urban education go too far when it does more to drive away the irreplaceable teachers to other districts or professions than to keep them in the classroom? And when will we learn that education reform must be done WITH schools and communities and not TO them? As for me, I still have tremendous hope for our future. Perhaps I am an eternal optimist or a hopeless romantic, but I am a teacher because I fundamentally believe that education has the power to change the world. I know that our schools can do better and that many things in the K-12 system need to change. But is there a point when education reform goes too far? 2014 was the year of traveling and the year of weddings, and it was definitely a year to remember. As I mentioned in last year’s year in review, I rung in 2014 sixty-feet underwater in the middle of the Atlantic Ocean on an amazing dive trip with two of my teacher friends, Nick and Karina. It was my first live-aboard, and it was an absolutely incredible experience that I will always cherish; I already cannot wait to go diving again! Later in the month, Matt, Victoria and I flew down to Louisville for our good friend Steve Townsend’s wedding. Although we were there for only a few days, we tried to make the most out of the experience, and checked out the Louisville Slugger Factory, ate some delicious Hot Brown’s at the eminent Brown Hotel, and had an Inside-the Gates tour of Churchill Downs, too. Spring went by so fast. Our basketball team won the state tournament, Teach For America-New Jersey celebrated their 20thanniversary, and we celebrated MIPO’s 35th anniversary in the city, too. In March, I was once again privileged to chaperone another overnight college visit trip to Connecticut and Rhode Island, which was humbling and empowering as usual. April was one of the best months of the spring, as I was able to get to two new cities: New Orleans and Atlanta. In short, both cities lived up to the hype. In New Orleans, we went for the annual NCTM conference, which was just as informative as the conference in Denver. I would highly recommend checking out my full write-up about New Orleans here. After landing in Newark, I had less than 12 hours before I was on another plane bound for Atlanta. It was my first time to visit “Hotlanta,” and I was excited to see my good friend Eric Vander Voort, who I hadn’t seen for a while, and is currently working at Turner Sports. In the five days that I was there, we killed the city, going to just about every famous restaurant and museum the city had to offer. Oh, and did I mention that we ran into Shaq at the Turner Sports building, too? Talk about once in a lifetime! In May, some of my best friends in the world graduated from Marist, and in June, between chaperoning more trips, speaking at Honor Society Dinners and gearing up for the World Cup, I moved out of Newark to Rahway, which is about fifteen minutes south of the city. Speaking of soccer, this was the first year I actually followed the World Cup, and it really got me into soccer. In July, I was invited to be in Dan Torres’ wedding, which was incredible! It was held in upstate New York, and it was great re-connecting with so many people I hadn’t seen in over a year. I was also fortunate to have the opportunity to chaperone a weeklong overnight College Summit visit to Yale, and met some great rising seniors that all had unique stories about their pursuit of their future. The following week, I was able to visit my longtime friend Johnny Delgado in St. Louis, and return to the baseball mecca that is Busch Stadium. In addition to visiting Johnny, it was my second time to the city, although it was my first time seeing the new stadium. In August, I was so blessed to be able to visit Spain for a month. I went to study Spanish, live with a host family, and experience as much of the culture of España as I possibly could. In the three weeks I was there, I was able to get to four major cities, including Madrid, Toledo, Valencia and Barcelona. I had the best paella I’ve ever had in my life, experienced my first professional soccer game, y aprendí un poco más español. Quite frankly, it was one of the best trips that I have ever taken in my life. I never had the opportunity to study abroad while I was in college, so I felt that this was my chance to study abroad and take in a new culture while learning a new language along the way. Before I knew it, the summer was over, and a new school year was around the corner. This year, I was appointed to be a lead teacher in the math department, something I was extremely excited about. My classes were awesome, and it is honestly hard to believe how fast the first four months have gone. Just when the leaves were changing colors, we took a busload of students down to Rutgers for the day to check out the New Brunswick campus, and I also saw my first Red Bull soccer game, too. In October, I saw the U.S. men’s national team play Ecuador in Connecticut with Rob and Jeff, which was really cool (even if I did get to the game a little late…). One of the funniest aspects of the trip was that many of my students are Ecuadorian, so it was a lot of fun leading up to the game. At the end, the teams tied 2-2. After getting back, I was able to cheer on our boy’s soccer team and watched them win the Newark City Championship, and go to Austin’s last high school soccer game, too. During November, a bunch of friends and co-workers went down to Jamaica for my friend Nuno’s wedding. It was my first destination wedding, and it was awesome! In between the wedding festivities, I was able to squeeze in a trip to the famous Dunn River Falls and embark on a scuba diving excursion, too. The wedding itself was picturesque, as shown below. Two weeks later, I had another wedding, and Ryan and DJ got married, too! In December, I had one of the most memorable days of my teaching career to date when I took almost 50 high schools students to visit my beloved alma mater, Marist. In between working with seniors on countless college and scholarship applications, I was able to go to a soccer scholarship dinner and finally try some authentic Norwegian food, too. For New Year’s, I went up to Connecticut, and had such an amazing time. As I said, 2014 was the year of weddings and trips, and it really was quite a memorable year. It seems as though every year goes by faster, but I guess that is to be expected, especially as we get older; maybe that is why we need to make every second count! March Madness, East Side Style! As Steve Politi of the Star-Ledger has pointed out, the group of high school students that made up the East Side High School Basketball team this year was “a group that decided that the road less traveled was the one to take, and that they would take it together to the old brick building on Van Buren Street in Newark,” instead of choosing to attend an exclusive private high school on a basketball scholarship. As such, we spent a lot of time in March driving all over the state watching our Red Raiders upset team after team, all the way through the state championship and to the final game of the Tournament of Champions. Although we ended up coming up exactly two points short of being the first public school in nearly 20 years to win a tournament of champions trophy, you would be hard-pressed to find a Newarker that couldn’t be prouder of a team that worked so hard to get as far as they did. For as our own Jamar Gilbert has said, “growing up, you [would] only hear the bad things about Newark. We [wanted] to do something good for the city.” And doing something good for Newark is exactly what the East Side High School Boys Basketball team did in the March of 2014. After basketball season was over, I was again fortunate to chaperone the East Side High School Student Council trip to colleges throughout the Northeast, including UCONN, The University of Rhode Island, and Providence College. At UCONN, I had the privilege of walking on the floor of the Gampel Pavilion, a ‘Mecca” for college basketball aficionados like myself. After leaving UCONN and taking an obligatory picture with Jonathan the Husky, we departed for Newport, R.I. for a few hours, and then proceeded to get the students all settled into the hotel. At night, I had so many great conversations with different students about just about everything you could think of from college to jobs and everything in between. To me, it is these conversations that make these trips so worth it. The following day, we toured U.R.I. (which was another nice school) and then head over to Providence for the rest of the day. Perhaps most excitingly, at Providence, I was able to go into the student government office and I met many of the current student government officers. After telling them about some of my previous experience, it brought me right back to college; it was fun talking about student-government related issues again. I also brought two all-stars from East Side (Kevin and Austin, who are pictured below), to give them a taste of what Student Government is like at the collegiate level. To me, PC (a term I have never heard Providence referred to before this trip, but all of the students seemingly like to call it that) had a very similar vibe to my beloved Marist; needless to say, I enjoyed Providence College very much. On the way home, we drove past Brown University quickly, and then departed back to Newark. To me, even in the stressful moments associated with taking 32 high school students on an overnight college visit, it cannot be more empowering. As I wrote on Twitter on the bus ride home, if visiting colleges with 32 high school students doesn’t inspire you, I don’t know what would. Author Andrew PaulsenPosted on March 30, 2014 October 22, 2017 Categories 2014, College Visits, Don't Pump the Brakes, East Side High School, Education, leadership, March Madness, Newport, State Tournament, UCONNLeave a comment on March Madness, East Side Style!